One of the good/bad things about having this site is that everyone with a film wants you to review it. Bad, because, well, many of them are just that - bad. Good, because every now and again something like this comes across your path. Seance is an award winning horror film about three people, who are trying to find the fortune of a deceased baroness through a spiritualist seance. But things will end up going a bit differently than they planned. Ten days of shooting in a 16th-century palace in the Czech Republic included a brief scare when the Production Designer cut her hand and made the red circle in the book of spells with her own blood. "To all of us, it was pretty chilling but I love these crazies on the set! ", director Robin Kasparik says. "I think it is really first rate work - direction, designed, acting, all worked." "Creepy throughout. Everything about it, from the technical to the artistic sides, highly professional and first-rate." The director of Seance, Robin Kasparik (24), is currently attending the Film Director course at the Tomas Bata University in Zlín, Czech Republic. He has been interested in horror movies since his childhood. "I shot short films on my parents' camera, and, thanks to my father’s video rental store, I had unlimited access to movies of all genres," Kasparik says. "My bedtime stories soon became The Exorcist and A Nightmare on Elm Street." 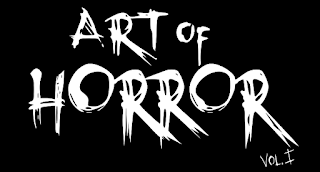 Kasparik wants to continue his work in the horror genre field, and he is now preparing his next short film I Am the Doorway which will be an adaptation of Stephen King's short story. "It is a wonderful feeling that Mr. King kindly gave me permission to adapt from his work. His books are a great inspiration to me". I Am the Doorway tells the story of an astronaut who returns from space mission and realizes he has been infected with a strange virus with the ability to control his actions. At the moment Kasparik's interpretation of I Am the Doorway is in its early stages. He is working on the screenplay and searching for financing. "Since childhood, my dream was always to be a director," Kasparik says. 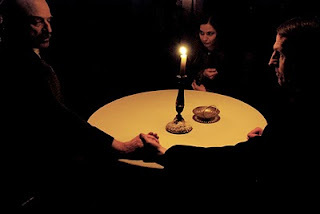 "Seance" is a Czech short film with English subtitles, but don't let the language barrier stop you - this is worth the watch! You were right, this is a gem! It reminds me of Poe in so many ways, and flows like a well written short story.